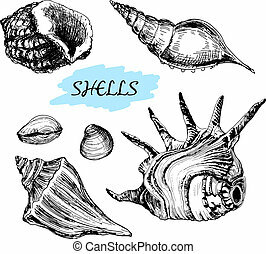 Seashells. 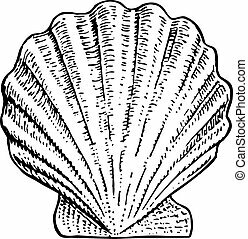 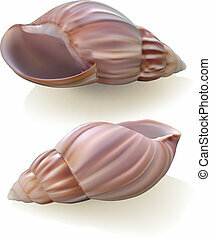 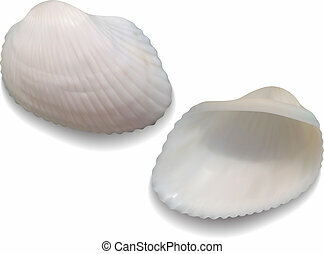 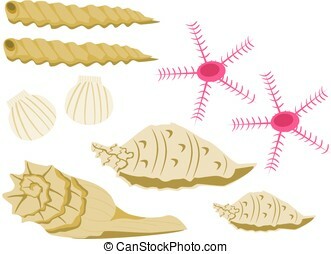 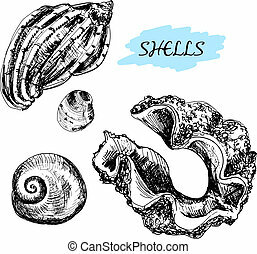 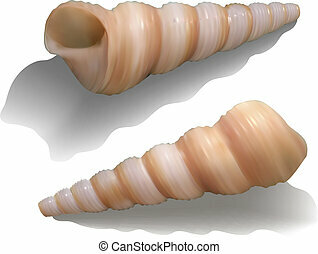 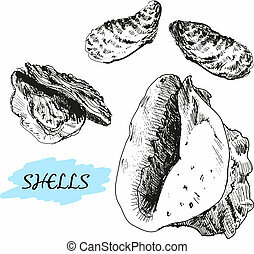 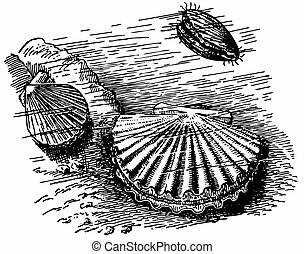 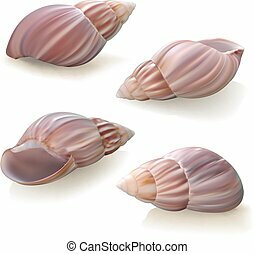 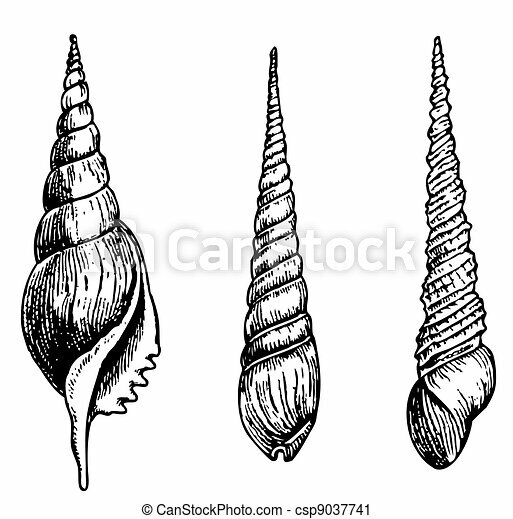 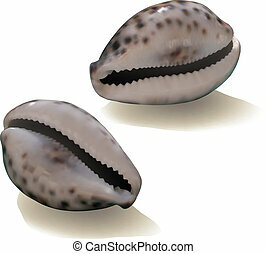 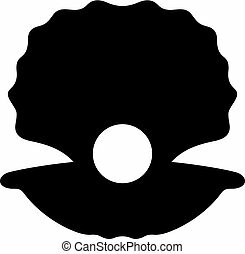 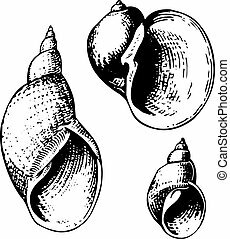 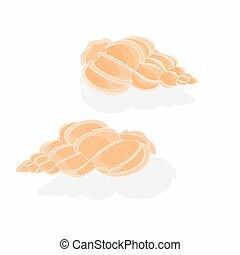 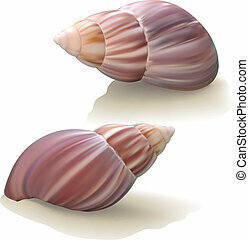 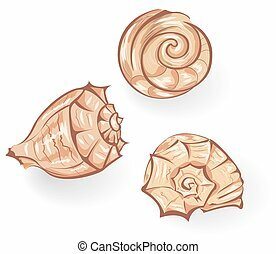 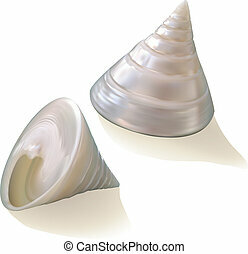 Three different seashells on white background. 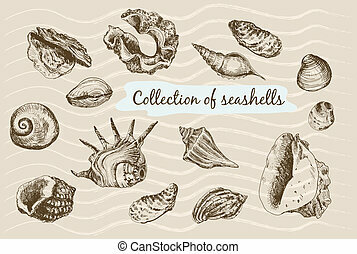 Collection of seashells. 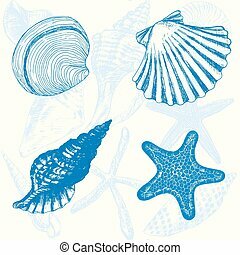 Hand drawn graphic illustrations.